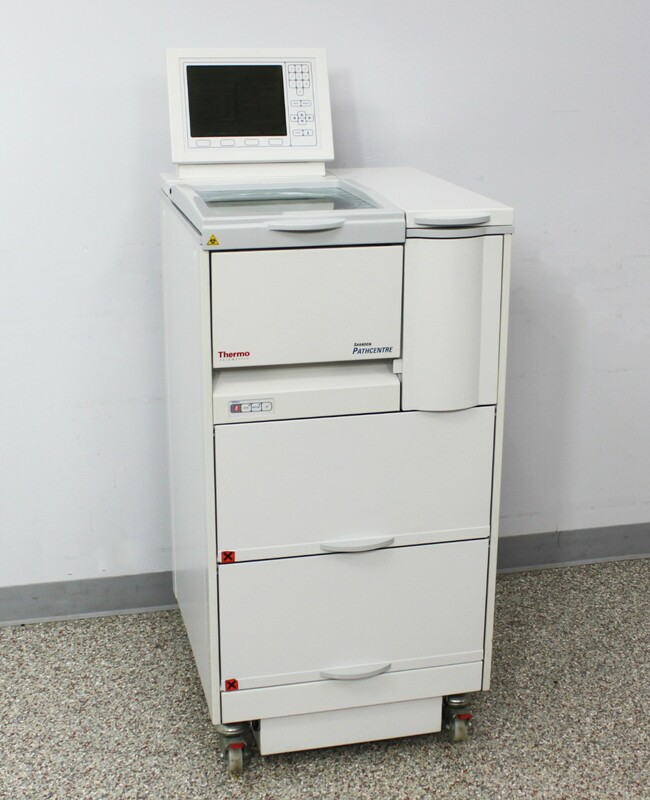 Thermo Shandon Pathcentre PCB Enclosed Tissue Processor Command Unit Warranty . New Life Scientific, Inc.
Fully-Functional. Baskets Included. 90-Day Warranty. bottles and random load baskets are included. basket. Random load baskets are included with this processor so capacity will vary. the maximum processing potential of one of these systems to 1224 cassettes. This processor is in good physical condition with no evidence of wax being used. on the bottom row reagent bottles storage cabinet. by wax cycling through it. test all of their core features and repair any issues. major universities, such as the Ohio State University. cassettes for the entire system. load baskets (Part #75210192), and large block neurological baskets (Part #75210166). Any of these can be purchased through Thermo Scientific. hand and, depending on our stock, can offer exchange or back-up units in a pinch.